A pensions policy that is bad for pensioners? Last year’s Freedom and Choice reforms tore up the consensus that pensions policy needs to smooth income over retirement. 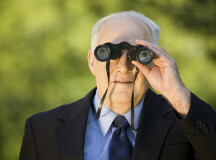 However, research suggests that individuals still value pension predictability.